Whether it's called a gazelle or a unicorn, a small business or a family business, a "side hustle" or a startup, it is all entrepreneurship. No matter what term is used, the act of setting out, working for one's self and creating something new and valuable is key to growth, both for individuals and the economy. Entrepreneurship is a path to economic security for founders. It also presents opportunities for those who are not entrepreneurs to climb the economic ladder and achieve economic stability through the jobs entrepreneurs create. Replicated hundreds of thousands of times a month, Americans' entrepreneurial pursuits drive economic growth, create nearly all of the country's net new jobs, spark competition and build community cohesion. Entrepreneurship is also dynamic. Some businesses that start small will grow quickly to employ many people. Some will fail. Others will remain small, following a more gradual growth path. We call the founders of these locally owned small businesses Main Street entrepreneurs. Main Street entrepreneurs are the owners and founders of companies that are more than five years old and employ fifty or fewer workers. These businesses tend to have deep roots in their communities and encounter distinct policy challenges. 63 percent of all businesses in America are small businesses, more than five years old and with 50 employees or fewer. Main Street entrepreneurs serve as models of success to others in the community. When people see someone that they relate to succeed as an entrepreneur, they see that as a plausible option for themselves. Main Street entrepreneurs are critical mentors and nodes of networks that help others find their place in the entrepreneurial community. The small businesses started by Main Street entrepreneurs also bring surprising benefits to their communities. Counties with a high density of small businesses may be associated with lower mortality rates and a lower prevalence of chronic disease. Entrepreneurship is risky. A regular income is not guaranteed, assets are put on the line and the odds of success are unknown. Create a targeted infrastructure of social insurance to shoulder some of the entrepreneurial risk facing potential founders. 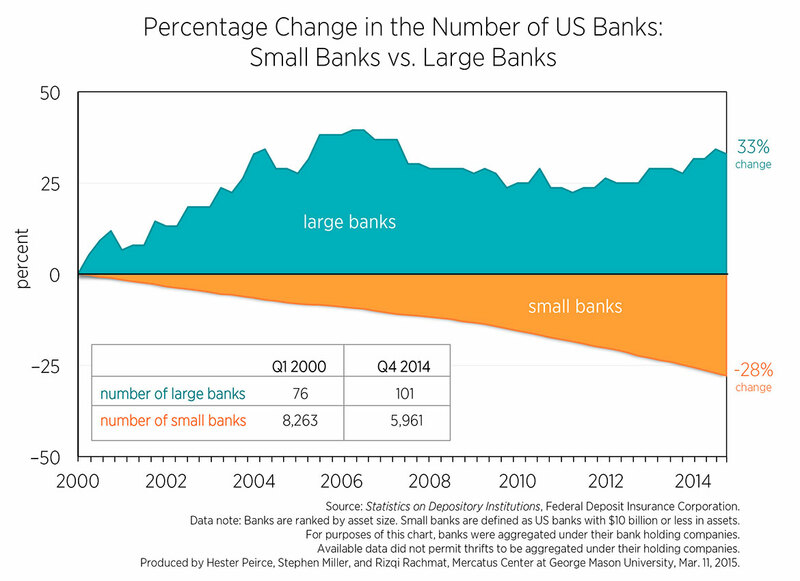 About 40 percent of the initial startup capital of newly formed businesses originates from banks. But Main Street entrepreneurs are struggling to get the capital they need from traditional banking sources. Encourage new business funding options, such as debt-based crowdfunding. This allows Main Street entrepreneurs to engage their customers as investors, generate capital from new sources and keep control in the hands of the entrepreneur. A tangled web of regulations and tax requirements, even ones designed to help entrepreneurs, can discourage entrepreneurship. Regularly review existing regulations with the purpose of pruning unnecessary regulation and making compliance as simple as possible. Main Street entrepreneurs can both benefit from relationships with other established firms and institutions as well as provide those same organizations with important services. Bring entrepreneurs together in an environment that catalyzes learning and relationship building. Land use restrictions, both in large cities and in small towns, can present an immovable barrier to Main Street entrepreneurs trying to sustain themselves. Local policymakers have the authority to regularly review rules and regulations to facilitate flexible and diverse areas for Main Street entrepreneurs to grow. Cities need to take advantage of these opportunities. Identify policies that entrench incumbent power, and look for opportunities to say "yes" to creative, small businesses. Read a report from the Institute for Local Self-Reliance on how cities can help Main Street entrepreneurs strengthen their ties to the community. The St. Louis Federal Reserve Bank examines Main Street entrepreneurs' satisfaction with lending by small banks. Learn more about how state economic development policy often fails to help Main Street entrepreneurs. Explore Kauffman's Entrepreneurship Policy Map, which lays out ideas for the types of policy that matter for different stages of entrepreneurship. Check out the other Kauffman Index reports on Startup Activity and Growth Entrepreneurship.